I’d think most of us could trace this character to the Philly-area jokester band, Ween. I don’t know too much about these guys but it occurred to me this is band with a lot of pretty well-reviewed releases (on Allmusic, at least) that has never been discussed on RTH. My search sees them named-dropped here twice in the last 3 years. 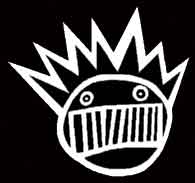 They don’t have a Greatest Hits to start with, so my question to all of you: What’s the Deal with Ween?